Top Move is Up For an ESTAs Award! The ESTAs are one of the most recognised and coveted awards of the year for estate agencies throughout the country. Winning an ESTAs award signifies a dedicated commitment to customer service that is unmatched by all other agents in your region, a real stamp of excellence that no other award can really compare to. A Gas safety engineer Muhammad Waseem was found guilty of falsifying a number of Gas certificates. 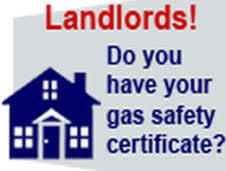 Thames Magistrates Court and Snaresbrook Crown Court have heard that landlord Tariq Hussain, of Walthamstow, induced engineer Muhammad Waseem, of Manor Park, to falsify four gas safety certificates for four rental flats in a property in Chingford.